The Most Overdue Update… In the World. **Sorry for the potato quality pics, I haven’t felt like busting out the fancy camera in a while. That takes so much work, for getting the picture right, editing, ect. But one of these days I will fire it up again. These past few months have not seen that day, sadly. 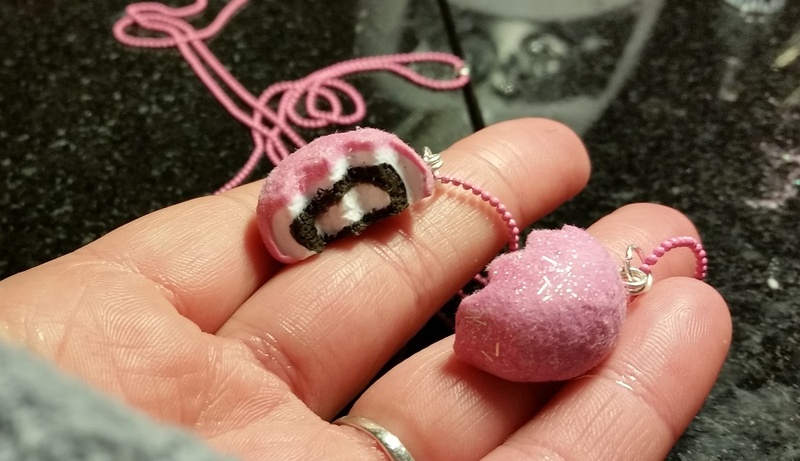 I grew up with these snack cakes and thought they would make cute, recognizable food jewelry. Really like how they turned out! A lovely custom order from Christmas time. The lady wanted something incredibly girly, pink, and with flowers. This is what I came up with. I have progress pics of the whole creation process in case anyone is interested in a post about that! 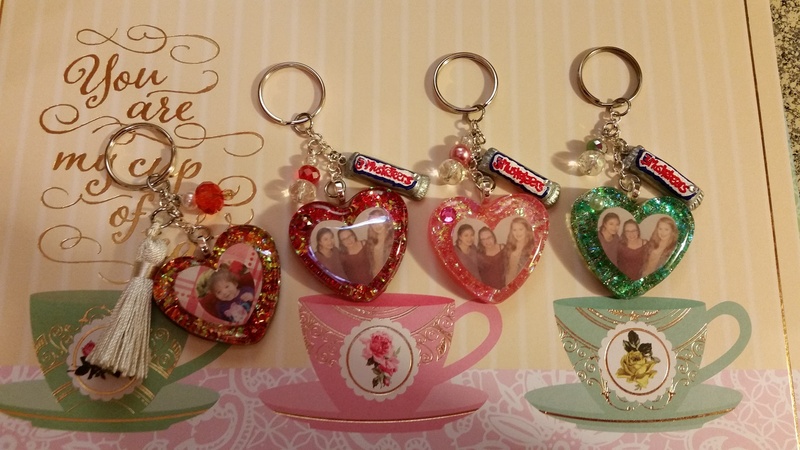 My friend at work commissioned me to make keychains for her daughters. 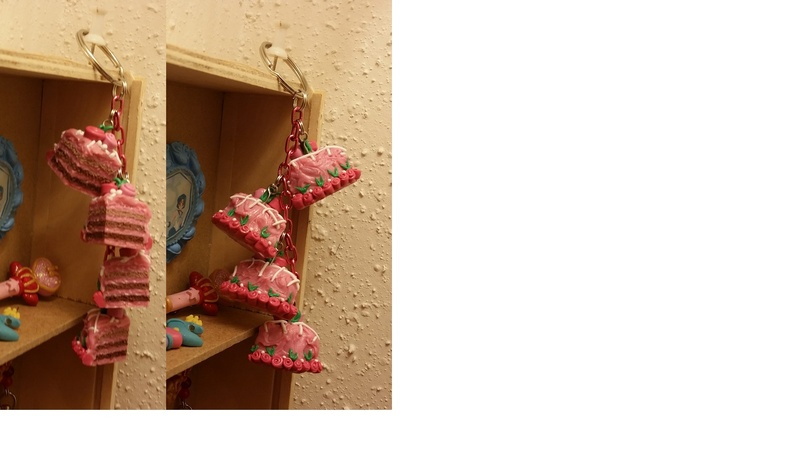 One of the daughter’s keychain has a picture of her baby in it. The other daughter, has 2 best friends and together they call themselves The Three Musketeers. 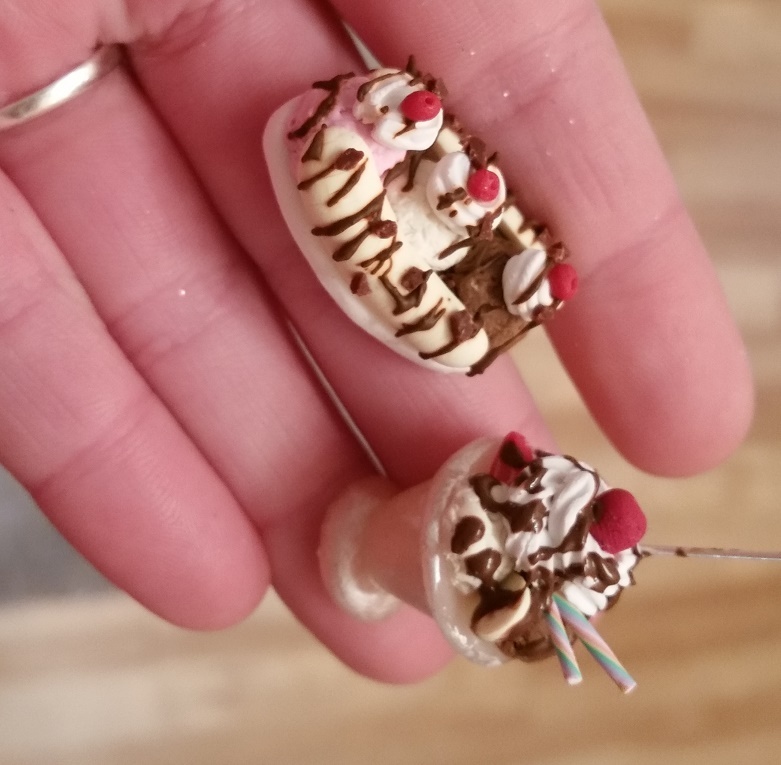 My friend and I thought little candy bar charms would be cute on their keychains. 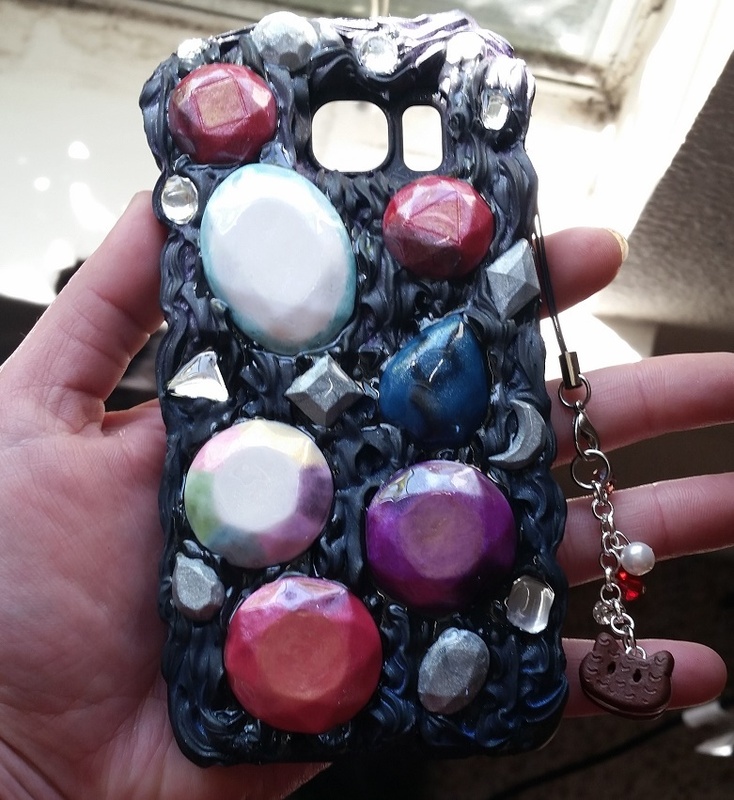 Cam O Chan’s friend ordered a custom case based on the TV show Steven Universe. He wanted it to be outer space themed and incorporate his favorite characters. The large clay gemstones represent a few of the characters. The black frosting is coated with blue and purple shimmer powder, but that didn’t come out very well in the picture. 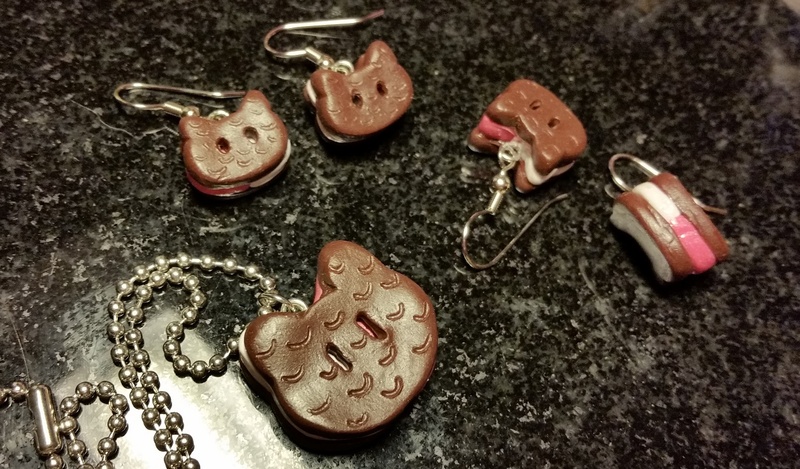 Lastly, there is a dangly charm of the lovable character Cookie Cat. Here are a few more cookie cats. The earrings have been quite a hit! If anyone wants to order some, drop me a line here or on Etsy. I will hopefully get a listing up for them soon! The sundae I made after the split, just for the heck of it. Though, I am very proud of that hand crafted sundae glass! Alright everyone, I hope you all enjoyed this random mish mash of new-ish creations. Hopefully next time I will have some more exciting and better pictures for you! Take Care!! Those snowballs remind me of your childhood and make me want to go buy some!! You have been hard at work today and I’m so glad you are back to creating!!! D’awww thanks, mom! Love you too! Stay dry out there!! Follow me for fresh posts!